I read this book after learning my first language (Python) and it really helped generalize what I knew and instill a mindset that made it much easier to ground myself in other languages. First read this blog post about UI design. A codebase is a UI. It is the UI you use to get your job done. It seems to me that the problem is that you don't have a good mental model of the codebase and its pieces. Part of this is that the codebase could be better structured. It always can be. But part of the problem is that it takes deliberate effort to build a clear mental model. It is easy to spend a bunch of time fruitlessly poking at things if you don't know how to spend that effort. So What is the shape of that deliberate effort? It depends on the framework. If you're working on a Model-View-Controller "CRUD" app, you want to start by looking at the API interface: what paths/HTTP methods do what? The reference docs for your external stakeholder should say this. Then, you'll want to look at the models. Print out the structure.sql or all the models.py files and draw out a crows foot diagram. From there, look at the controllers/routes and tell the story of what they do. Use the automated tests as a guide. If you're not doing a CRUD app, you want to find some advice that is shaped like it. What files to read first? What diagrams are useful to draw? etc. This is a pointer toward a different approach you can take to solving your problem. Make yourself a set of indexed notes that you can refer back to, as if you were studying for an exam. 1) In the course of writing the email, you make your question more coherent and by doing that, you stand a good chance of realizing the answer. 3) By writing down a coherent and contextful question, you show respect for the senior dev's time because you've put in your time to make your query well-structured. 4) You can go back and re-read the answer or the question. You can ask follow-up questions when you don't understand things. You can incorporate the answers into your set of notes. Use a program like Anki to make flashcards about the framework. Make flashcards that ask questions about where things go and where you would put things. Also, make flashcards that ask you to explain why certain design decisions were made. Find a good book to read and work through about the framework. Either ask on slack or ask your manager or go to the relevant subreddit. There is great value in personal recommendations. Know that it is normal to still feel that you have lots to learn. This is a craft and you won't be done practicing it until you retire. 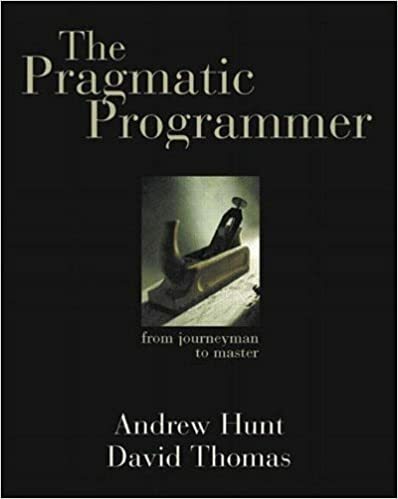 For a broader look at the craft, take a look at The Pragmatic Programmer . And of course make sure you are getting good sleep and taking care of your body. Knjiga jeste malo outdated po pitanju tehnologija, ali su principi i saveti odande svevremeni, dobri, i večiti. There are two books I always recommend to anyone who is starting their Software Engineering career. Both of these books were recommended heavily to me when I joined the industry and I wish I would have read them sooner. They manage to boil down years of insight and experience into a couple of interesting and thought provoking reads. I always buy copies for my interns or college graduate level junior developers. I would much rather have a junior developer working for me that is constantly inquisitive and shows they want to learn than a junior developer that says they can do something and a week later doesn't have anything to show for their time. Most developers I have worked with are reasonable and realize we all started not knowing how to do what we do. Not knowing something or being ignorant of something isn't a bad thing, we all have gaps in our knowledge. Being too stupid or proud to fix it though is a huge problem. You already recognize that there is a problem and are trying to fix it, that's half the battle right there.